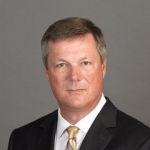 Mr. Tim Steele serves as Senior Vice President of Real Estate Development at Sobrato Organization, LLC and served as its Senior Director of Real Estate Planning and Senior Director of Development. Mr. Steele joined Sobrato Development in 2000. His public sector work includes many redevelopment and economic development projects, also for the City of San Jose. He has also worked extensively in the private sector in commercial brokerage and development. He serves on the boards of the National Association of Industrial and Office Properties, Home Builders Association and Archbishop Mitty High School in San Jose. Mr. Steele earned his B.A. degree from Morehead State University in Kentucky and was subsequently awarded an M.B.A. from Golden Gate University.